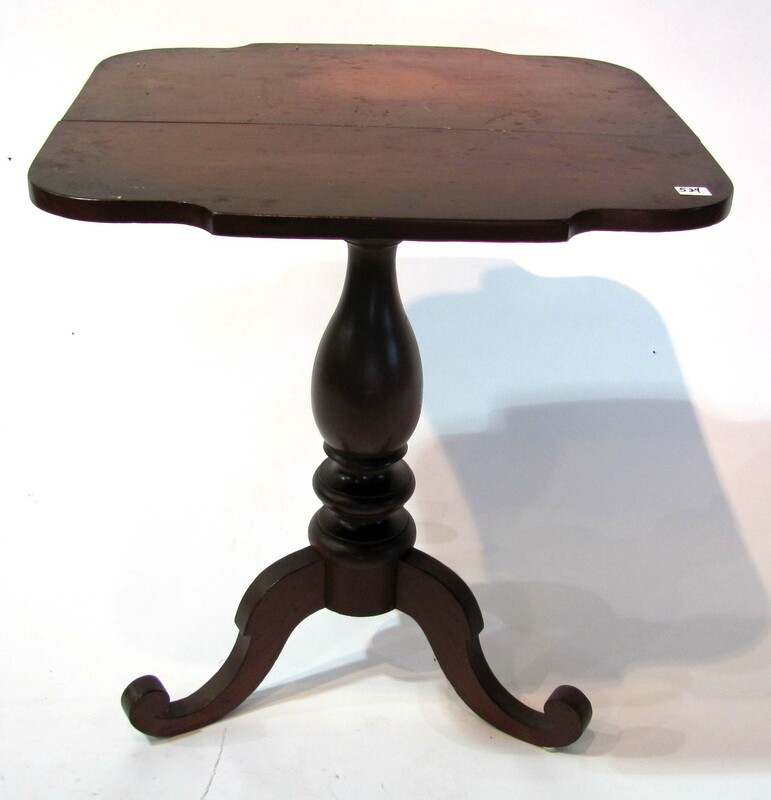 FURNITURE: 18th c. 35 X 19 tapered splay leg table. 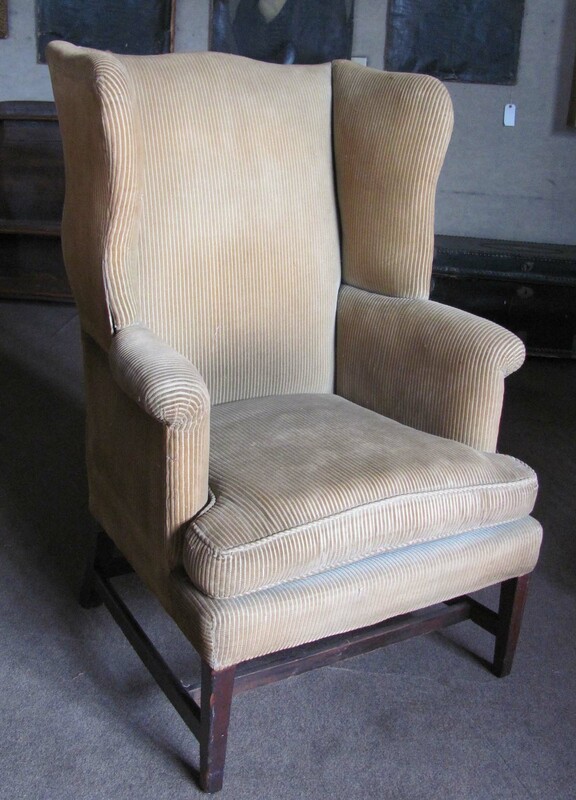 Early 19th c. tapered leg upholstered wing chair and another early 20th c. example. 19th c. 37 X 30 X 12 bucket bench. 40 in. N.E. birch graduated four drwr. chest on turned legs. 19th c. drop leaf tables, including turned leg 40 X 60 mahogany example. 22 in. Chippendale mirror with unusual fancy open crestwork. Tapered leg country tables and stands. Country occasional furniture. Hanging grained cupboard with interior drawers. Leathered Chinese Export camphorwood storage box. N. E. rope leg two drwr. mahogany stand and others. Good Empire tea tables, incl. 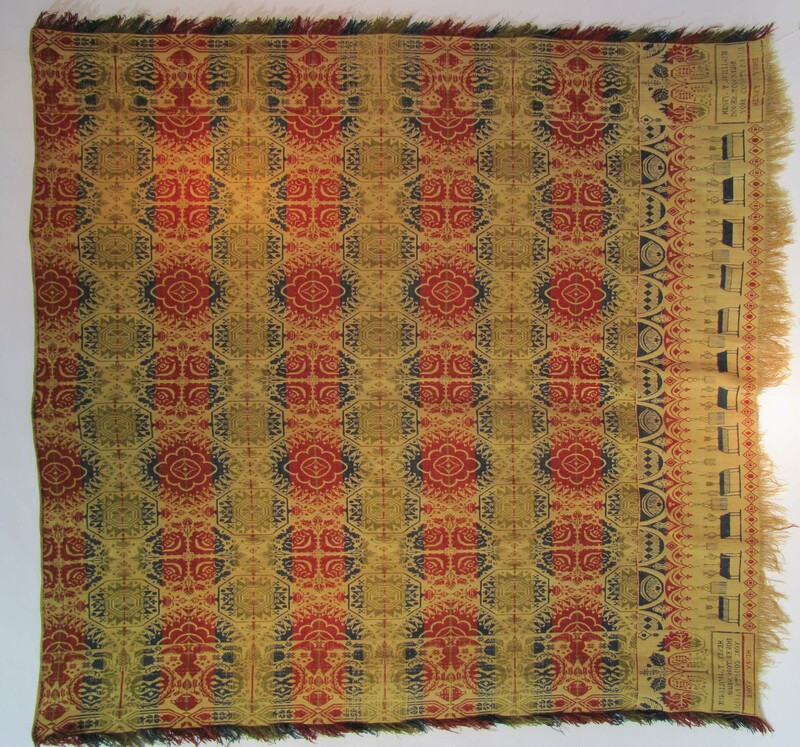 scrolled tripod example with shaped top. 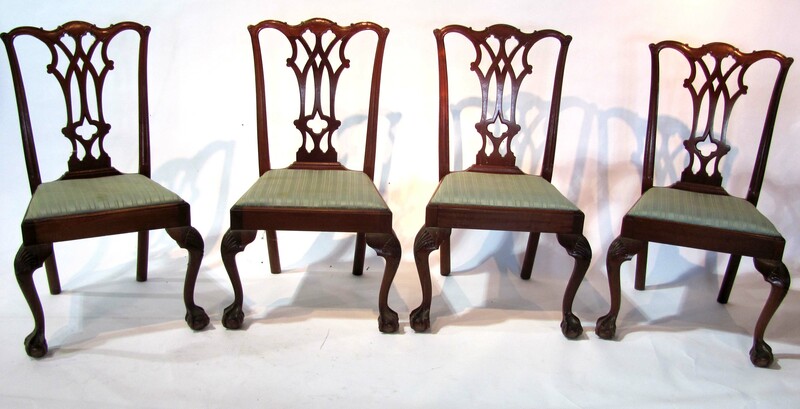 Set of four Centennial Chippendale dining chairs on ball and claw feet. Sets and pairs of Empire dining and side chairs. Aesthetic Revival furniture, incl. ebonized hex-top occasional table on fancy base and two delicately carved armchairs of differing design. 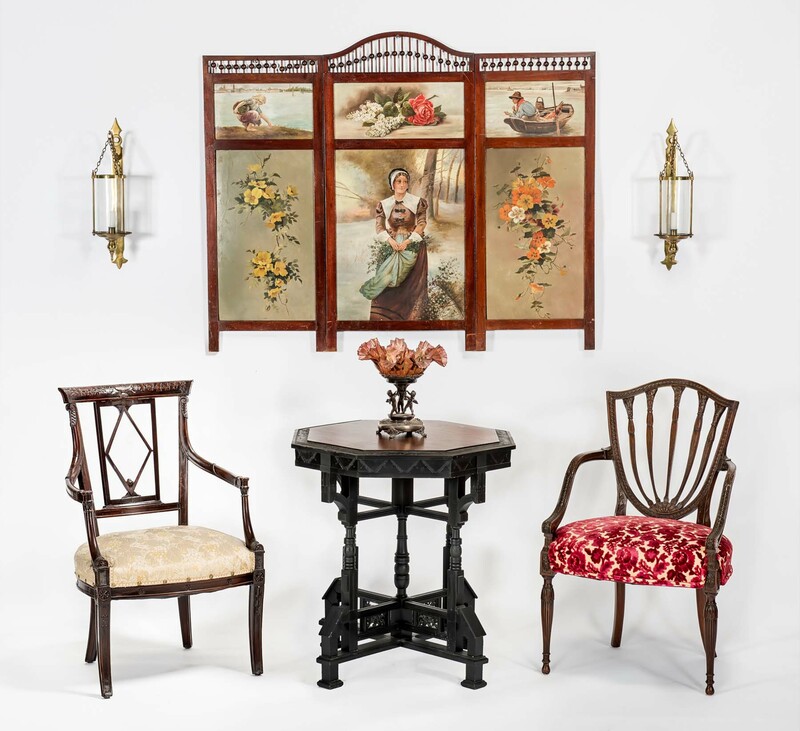 19th c. Continental folding screen, the three panels artist-painted in a genre and floral motif. Marquetry inlaid and paint-decorated nesting tables. 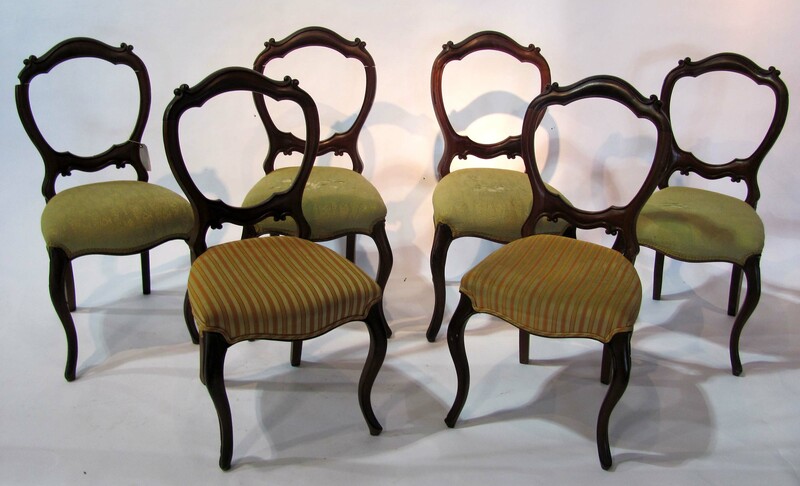 Set four Centennial ball and claw foot dining chairs. Fine 62 in. high-back upholstered Victorian settee with carved detail. Gilded 84 in.Victorian pier mirror with marble shelf. Wallace Nutting sgd. fan-back writing arm Windsor armchair. Set six open back walnut dining chairs. Pairs of well-carved Victorian side chairs. 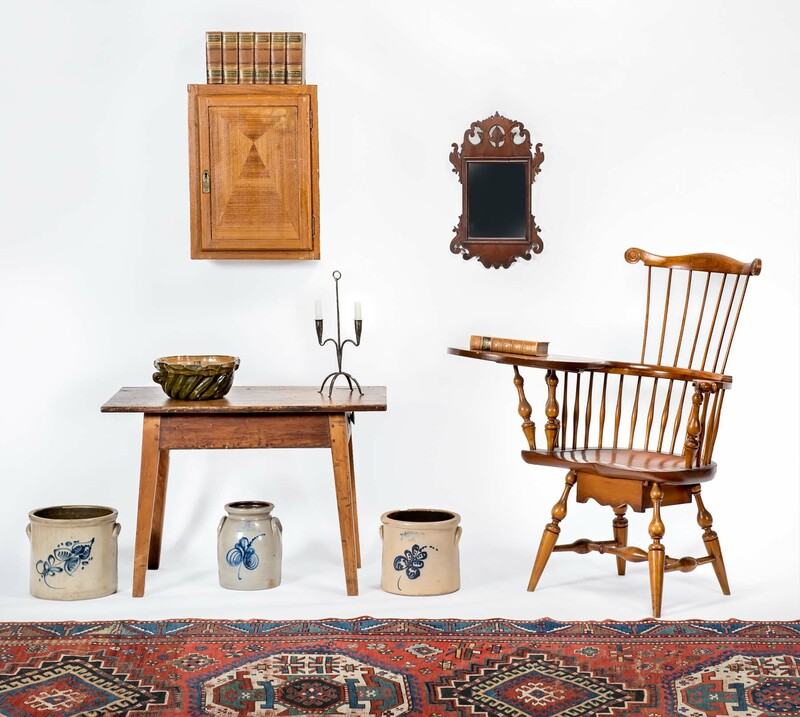 Fine selection of late 19th c. and early 20th c. occasional tables. 70 X 31 X 15 c. 1900 mahogany cabinet with two glazed doors. Distinctive c. 1900 mahogany writing desks, one with flame birch veneer lid. C. 1910 mahogany drop leaf campaign table. 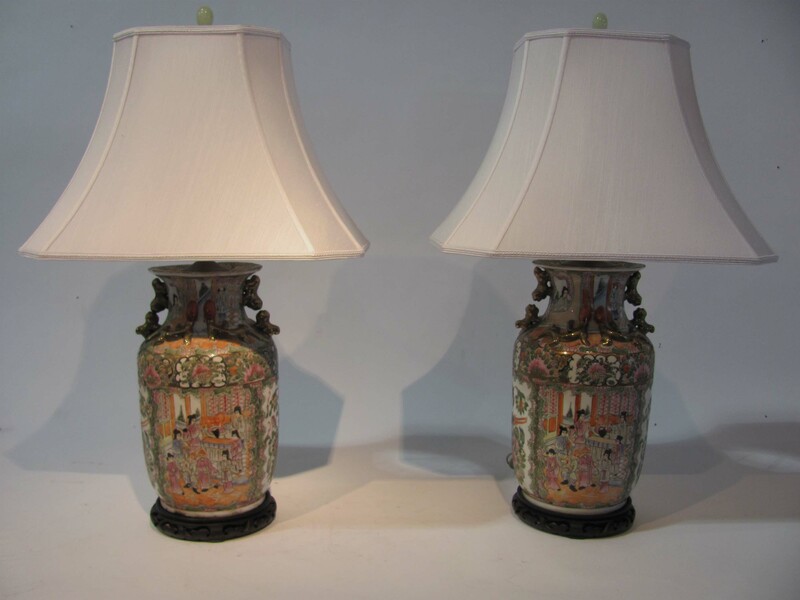 Marble inset carved Asian rosewood plant stands. Decorative display pedestals. 28 in. 19th c. genre motif repousse brass fireplace woodbox. 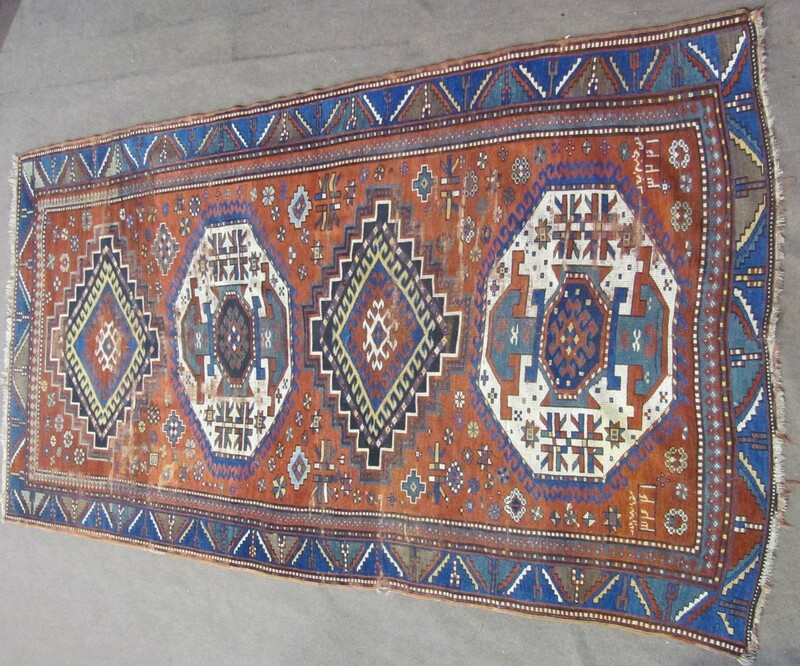 Good c.1900 etageres. Barrister bookcase. 79 X 38 X 15 Henredon glazed panel display cabinet. Decorative gilt and dressing mirrors. 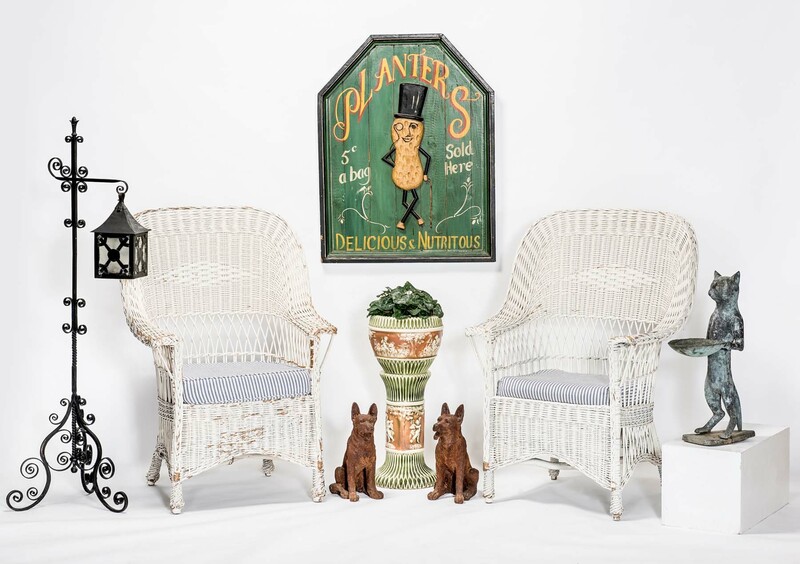 ARCHITECTURAL AND GARDEN: Pair of early 20th c. high back white wicker armchairs. 72 in. natural wicker sofa. Wicker and bamboo accessory pieces. 24 in. round marble top cast iron garden table. 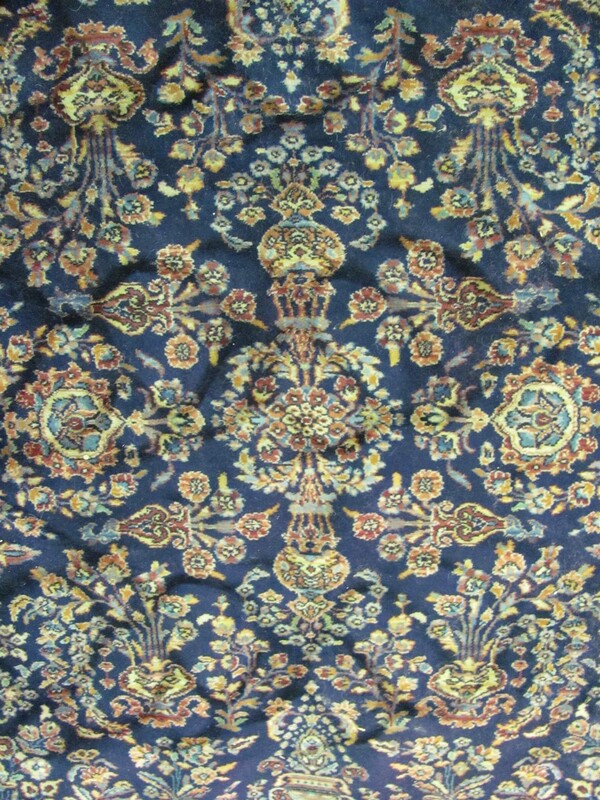 Pair of 15 in. cast iron ornamental German Shepherd dogs. 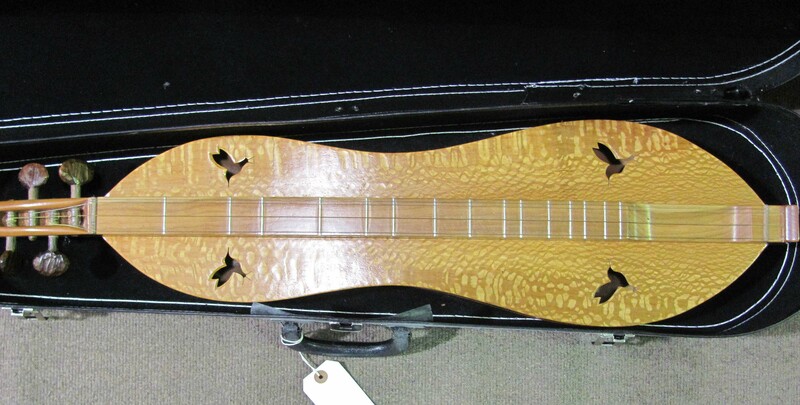 Mid-20th c. 32 in. 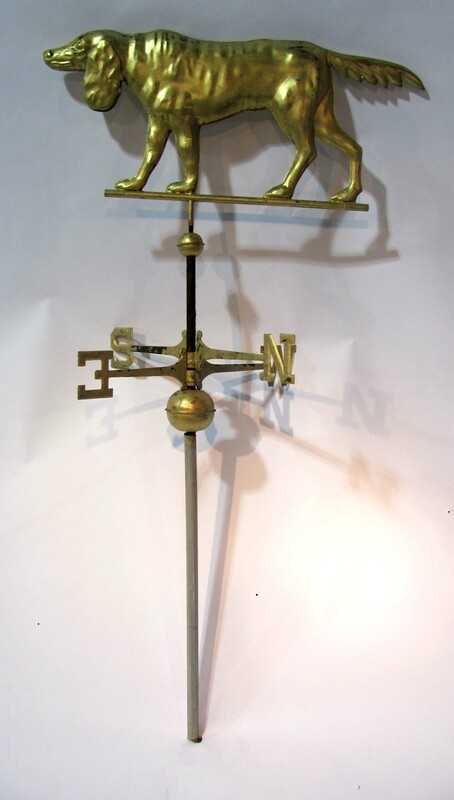 hollow copper setter weathervane gilded. Humorous 25 in. standing copper cat figure. 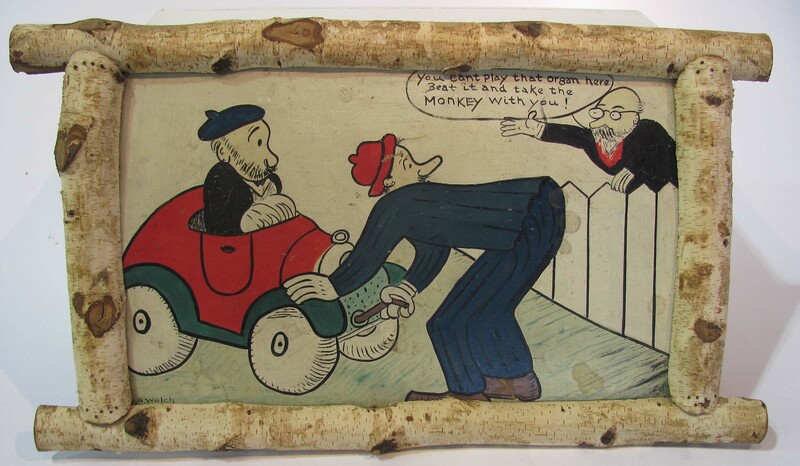 Graphic mid-20th c. 39 X 30 Planters Peanut relief-carved wooden advertising sign. Fine single owner lifetime COLLECTION OF INKWELLS and inkstands. 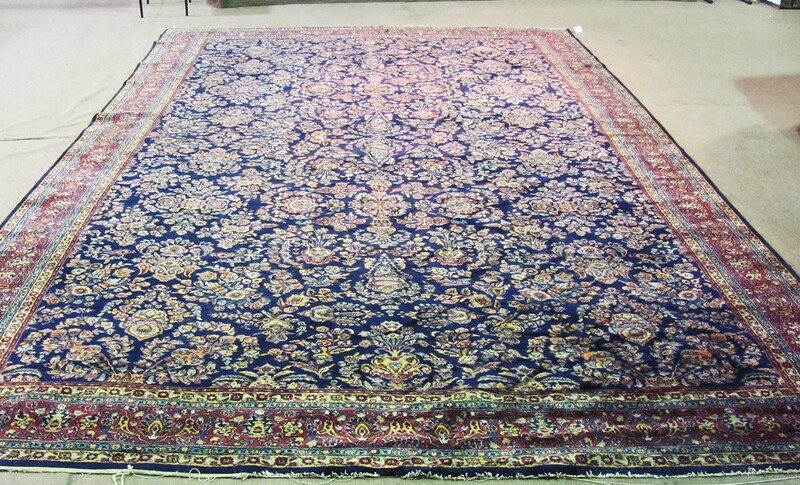 118 examples in 52 sale lots. 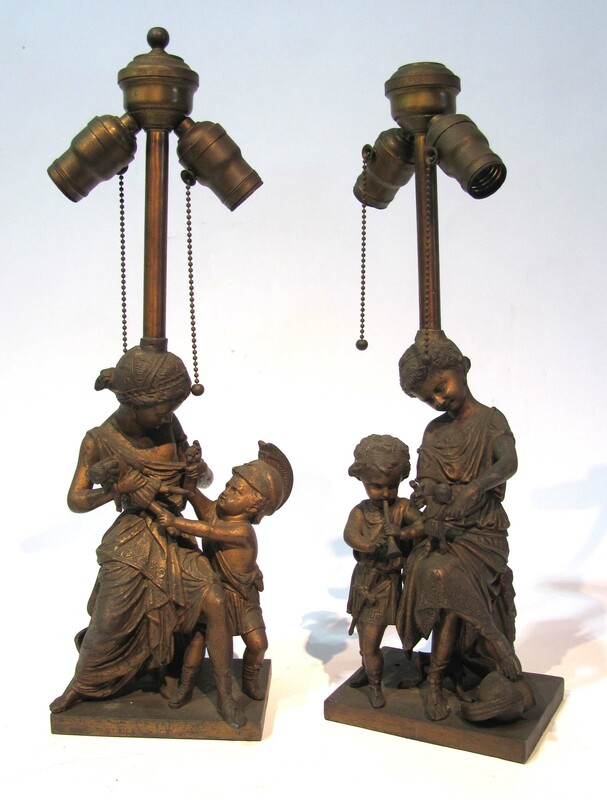 OLD LIGHTING: Fancy early 20th c. 60 in. 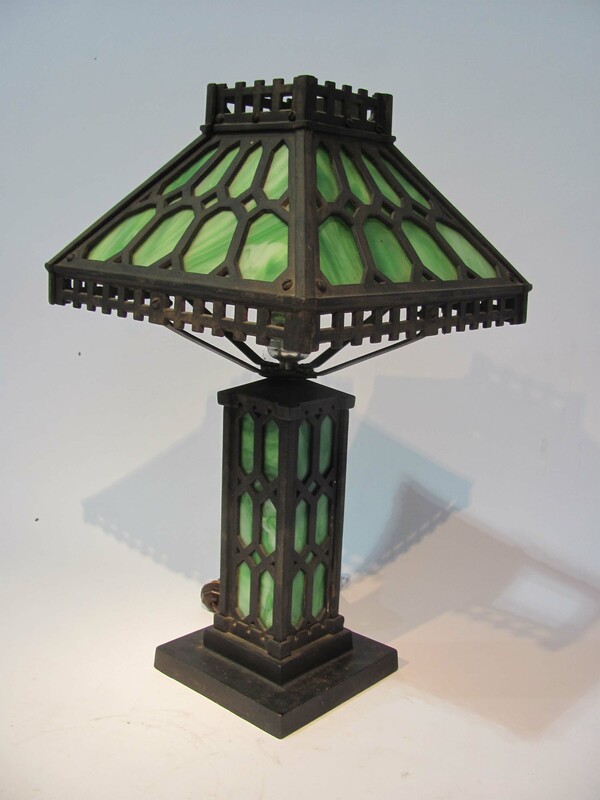 wrought iron floor lamp with lantern shade. 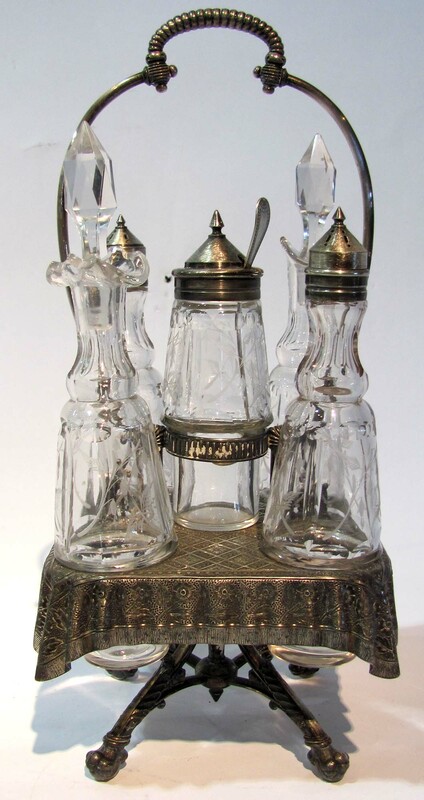 Selection of 19th c. Sandwich and other glass fluid and whale oil lamps. 29 in. four arm crystal table candelabra. Hanging fixtures with ruby and frosted glass shades. Wide selection of decorative colored glass, ceramic and metallic electric table lighting (1, 2, 3). 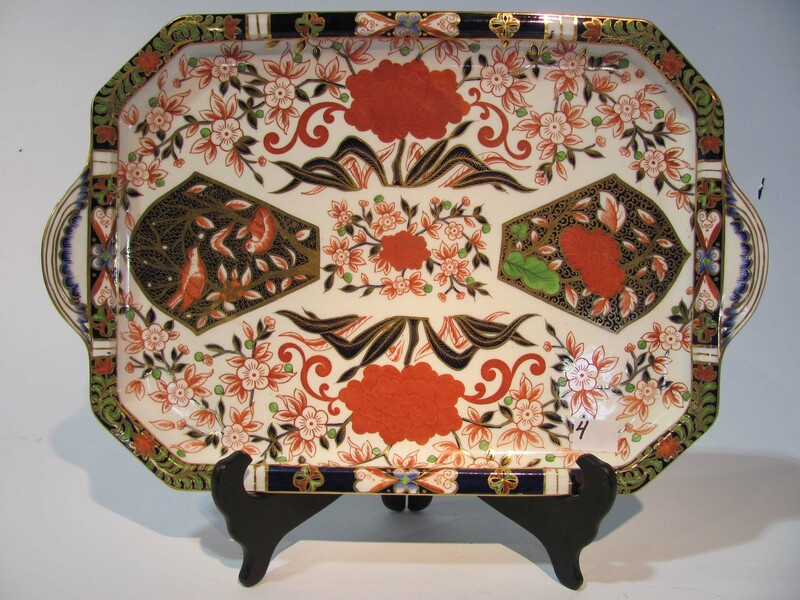 ESTATE CHINA, GLASSWARE AND POTTERY: Lot of six butterfly pattern Chinese Export plates. Large lots of Royal Crown Derby, Royal Doulton Dickensware, Bunnykins and English Royalty china. Mason’s Vista. Lot of 14 Beatrix Potter figurines. Minton Ardware. Commemorative plates. Majolica. Dresden. 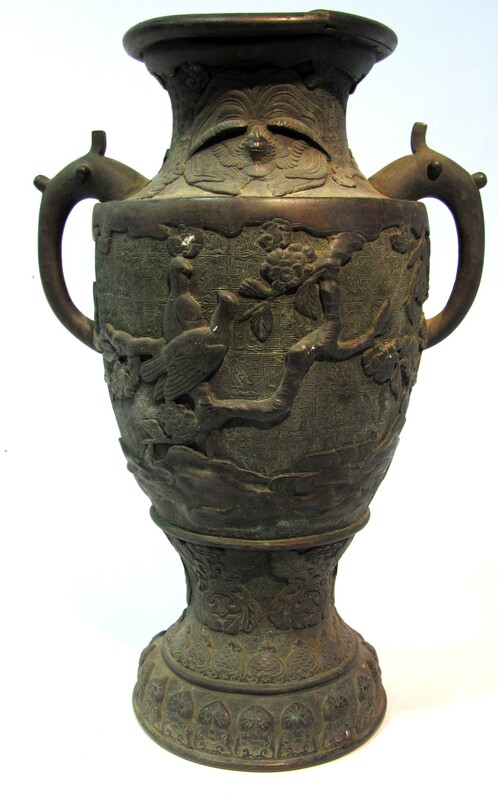 Chinese genre vases. Misc. world china. Roseville jardinière, Nemadji, and misc. art pottery. Quimper archit. tiles. Good crystal hollow-ware. 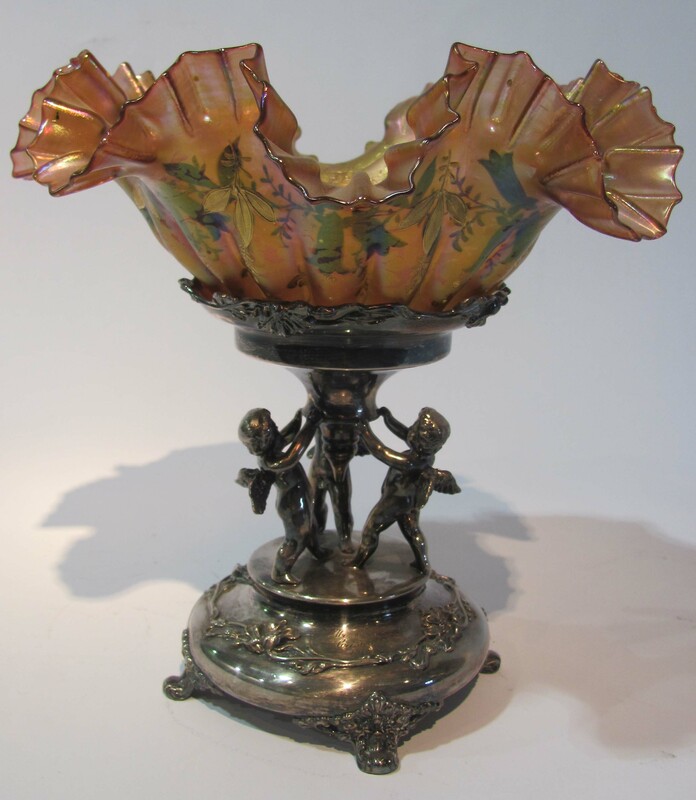 Poole Silver Co. fancy putti-mounted glass basket. Cranberry pickle casters. 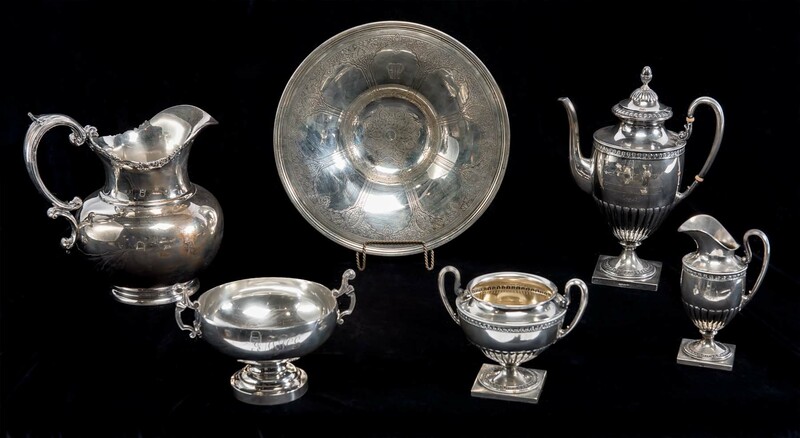 Rare caster set on silver-plate dining table-form base. Lge. sel. of single pattern pressed glassware. Glass paperweights. Silver overlay glassware. Blue-decorated and other stoneware. 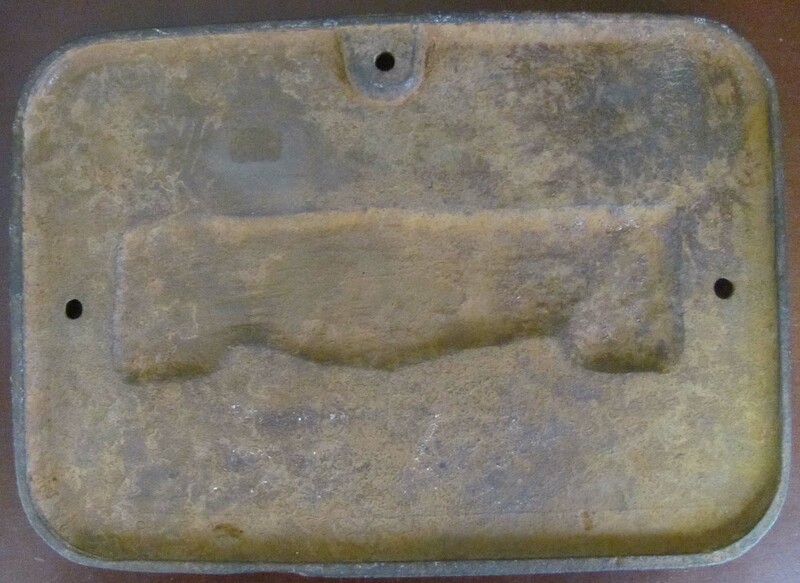 Early Turk’s Head pottery food mold. ESTATE JEWELRY: Good variety of gold, sterling and gemstone jewelry. Gold pocket watches. Southwest sterling squash blossom necklace. Good lots of costume jewelry. OLD DOLLS: Simon & Halbig and other bisque head dolls. 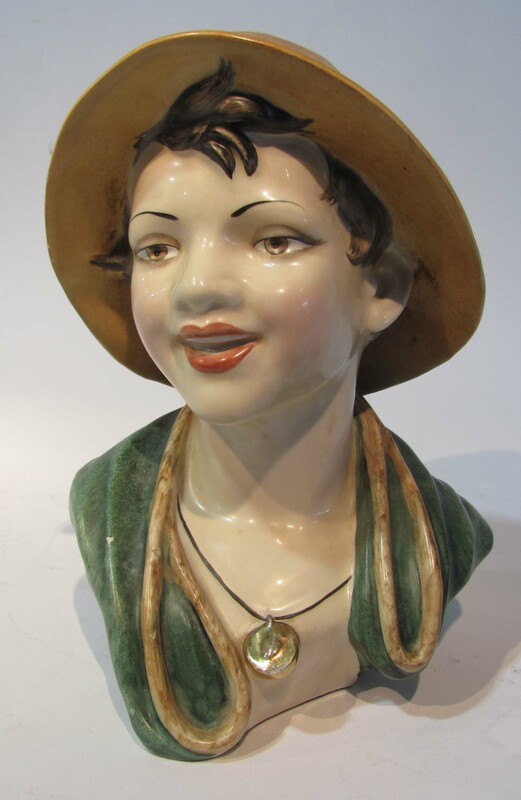 Farnell “Betty” doll. 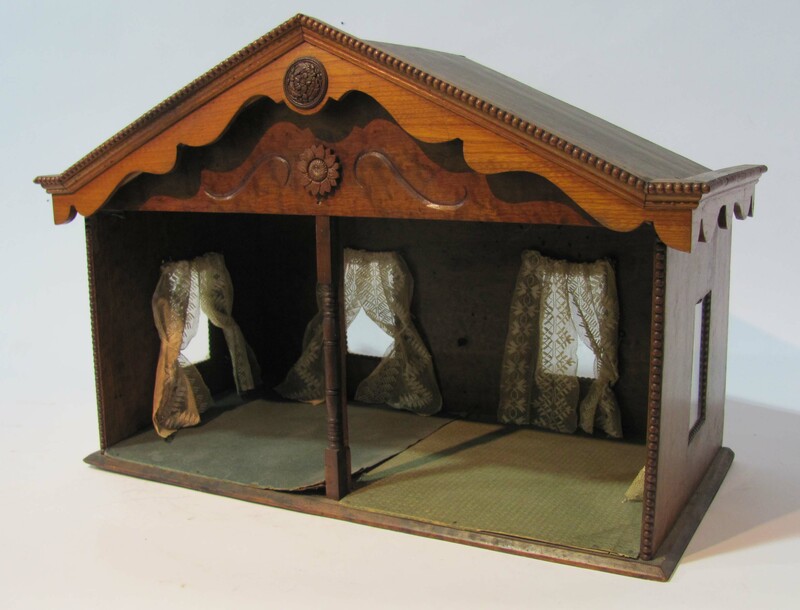 C. 1900 open front walnut dollhouse. 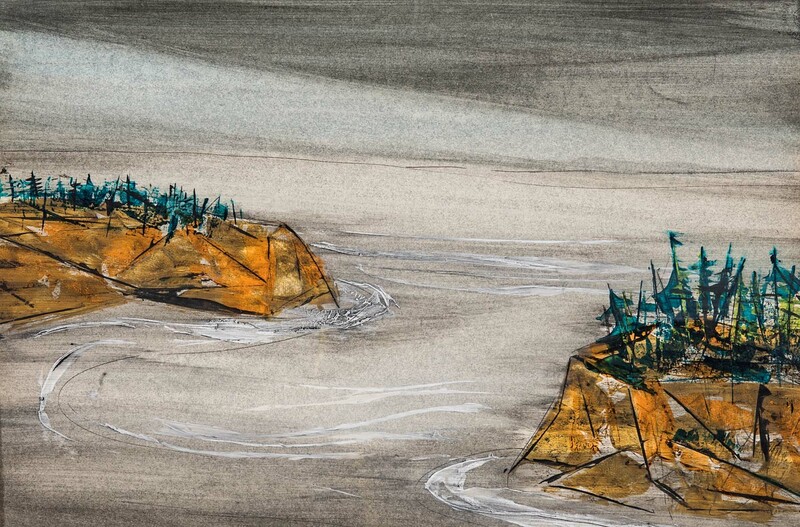 FOLK ART: Stacey Bryanton P.E.I. 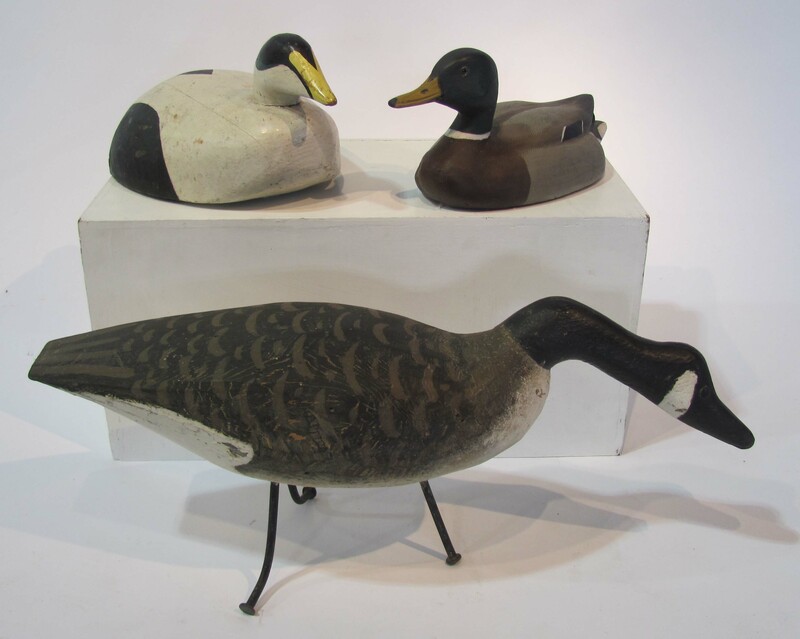 feeding Canada Goose, Maine eider and mallard drake decoys. 27 in. carved and gilded Asian dragon architectural element. Pair of 23 X 6 floral vine-carved panels. Fine 22 in. 19th c. ornamental paint-decorated horse drawn wooden coach. 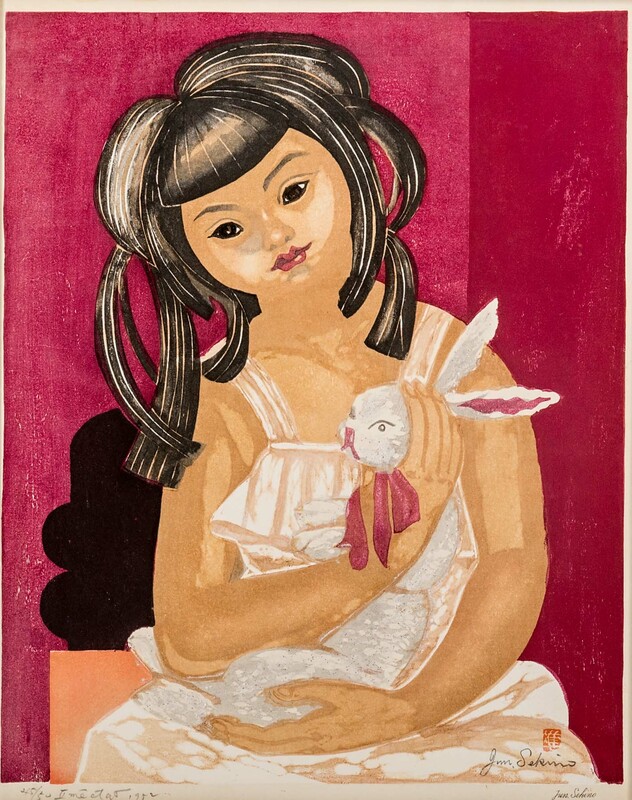 1949 20 X 14 Bettenfeld relief carving of child. 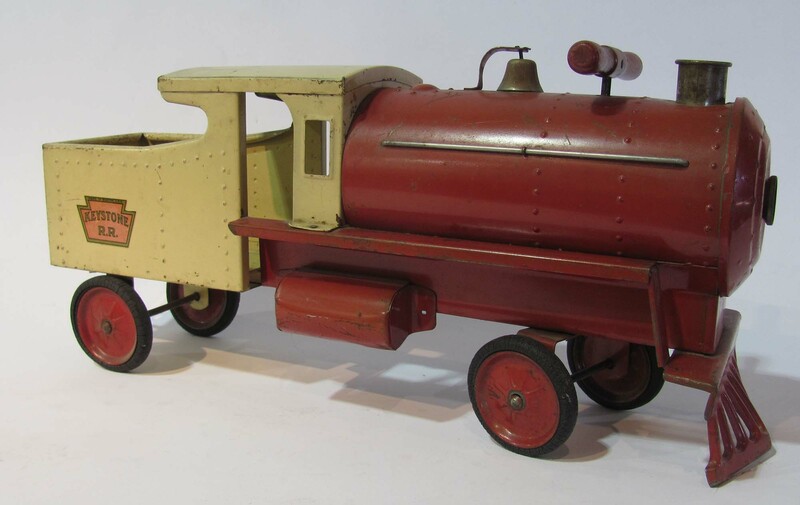 OLD TOYS: Keystone ride-on locomotives. Buddy L tow truck. Numerous wind-up toys. 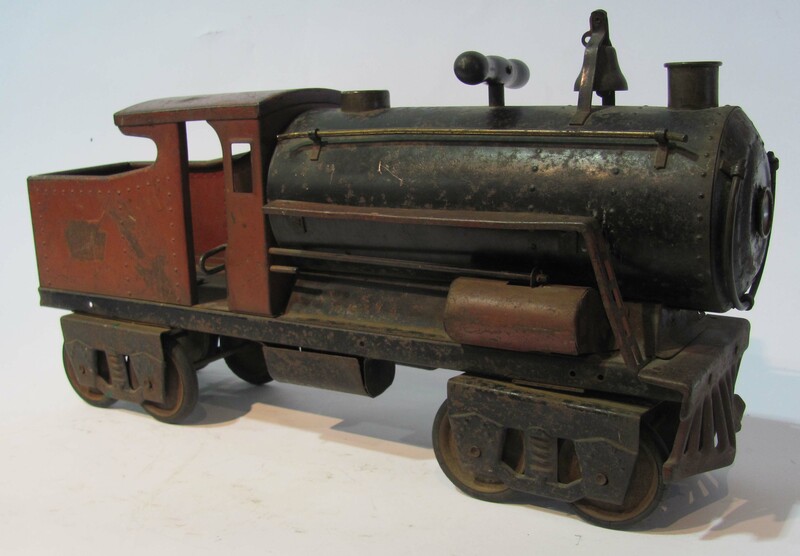 Four piece Lionel train. 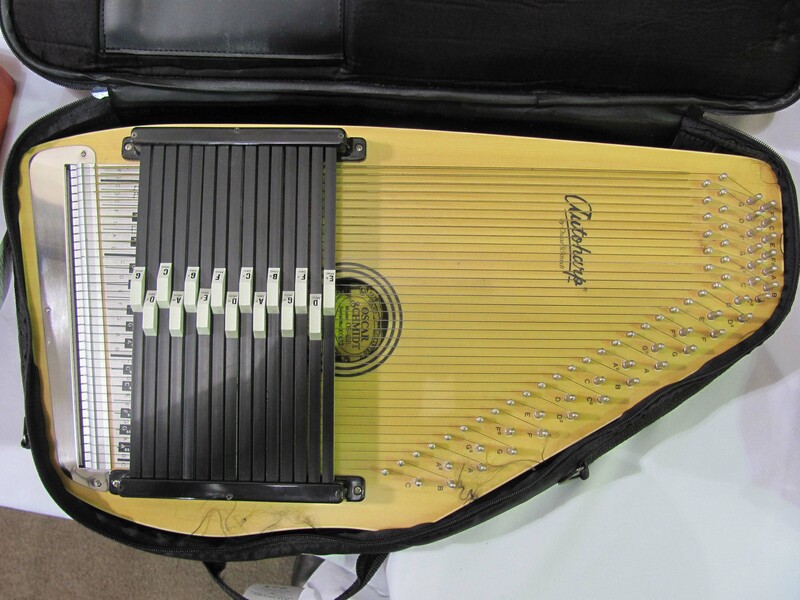 MUSICAL INSTRUMENTS: Single owner string bass, Warren May mountain dulcimer and Oscar Schmidt autoharp. OLD FIREARMS: Charles Harvan Castillian Grade 16g. dbl. barrel shotgun. 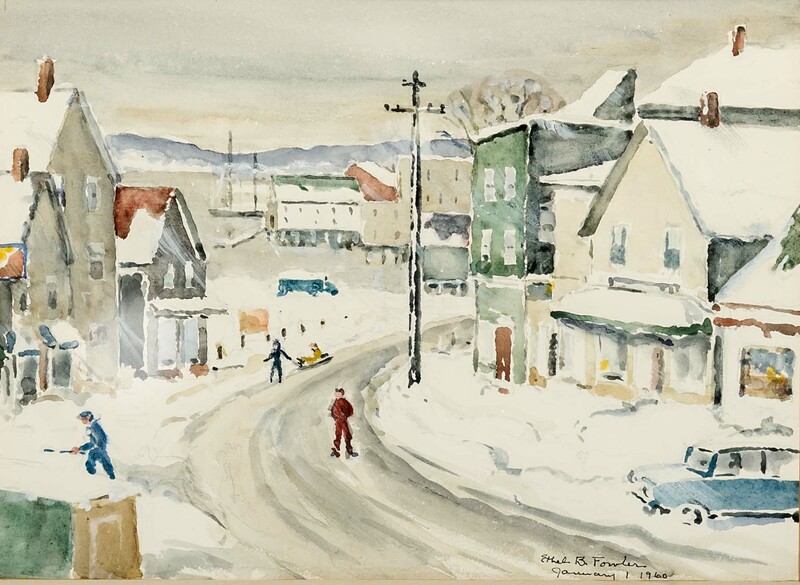 Frank Wesson, Worcester, octag. .32 cal. barrel rifle. NAUTICAL INSTRUMENTS: 19th c. boxed sextant, octant and Kelvin & White compass. 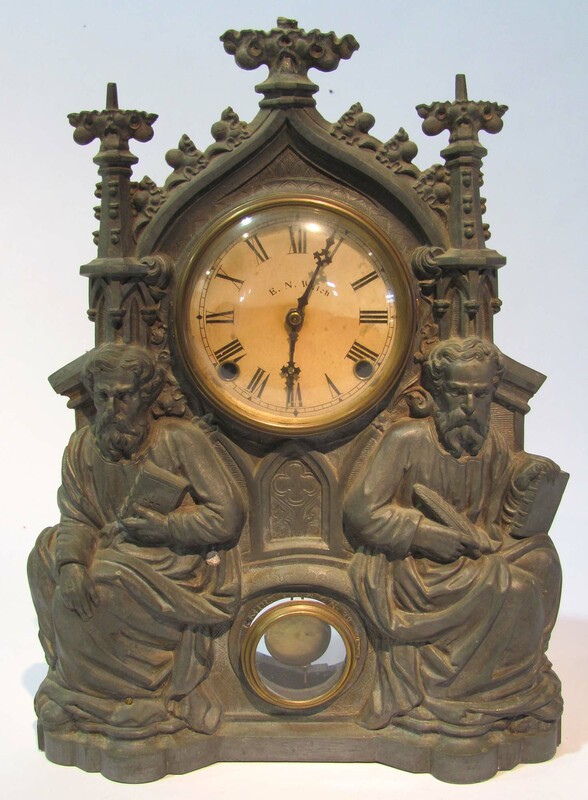 OLD CLOCKS: E. N. Welch shelf clock in cast metal figural motif case. 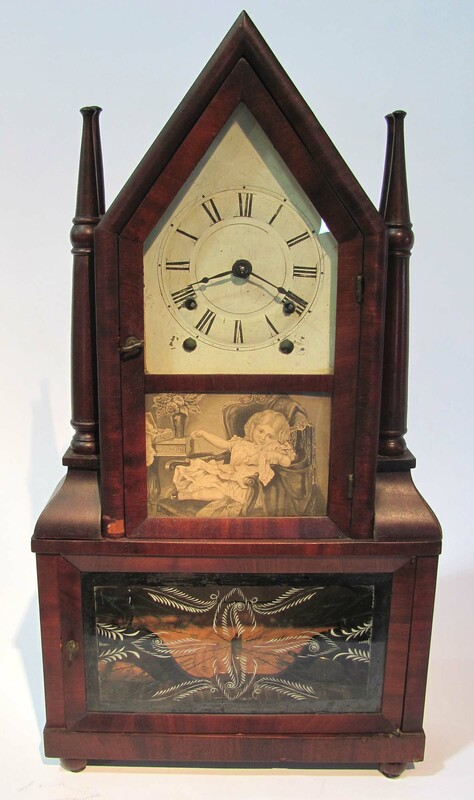 Birge & Fuller double steeple clock with partial wagon spring movement. MISC. 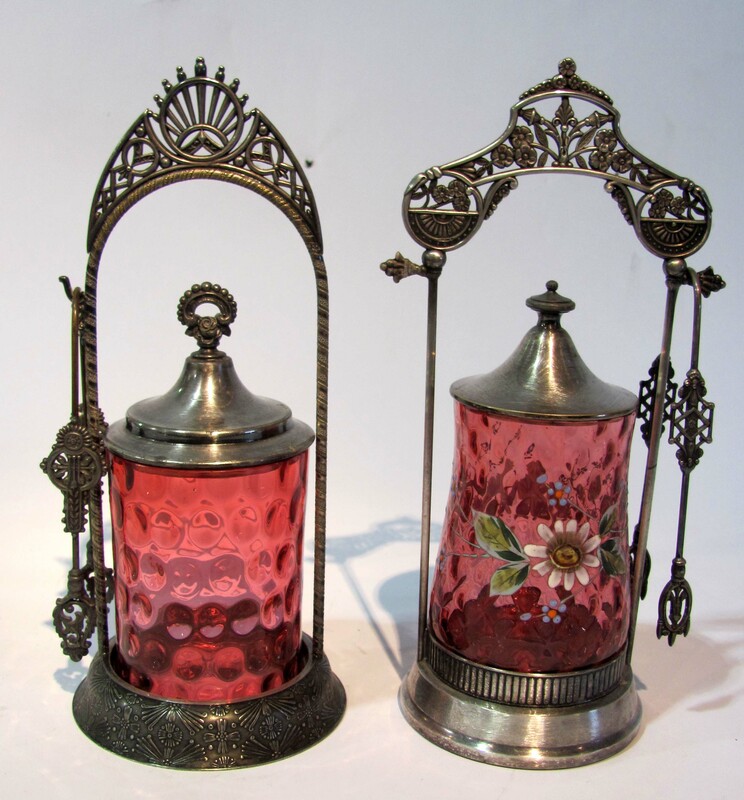 ACCESSORIES: 19th c. baskets, woodenware and metalware. Small Enterprise coffee grinder and older English brass example. 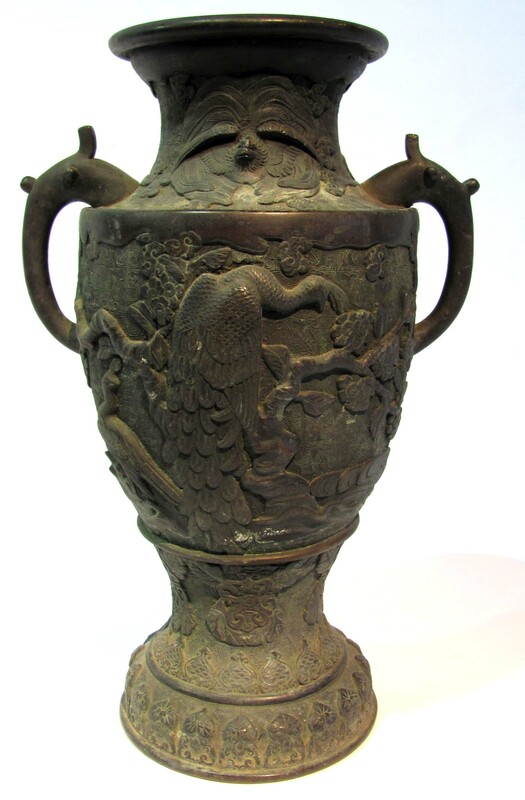 Early 19th c. wall-hung pewter lavabo. 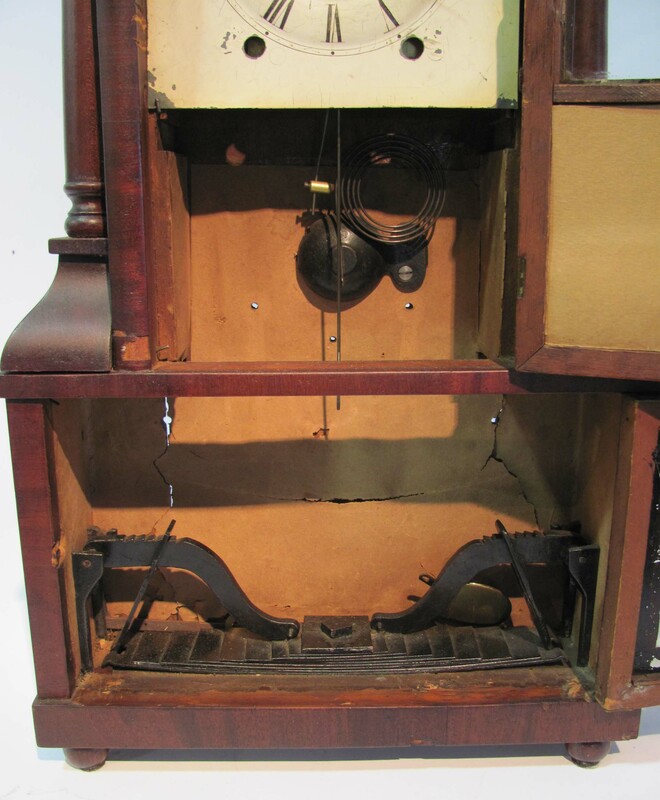 Gramaphone cylinder player. Large single barber collection of barber shop accessories and ephemera. 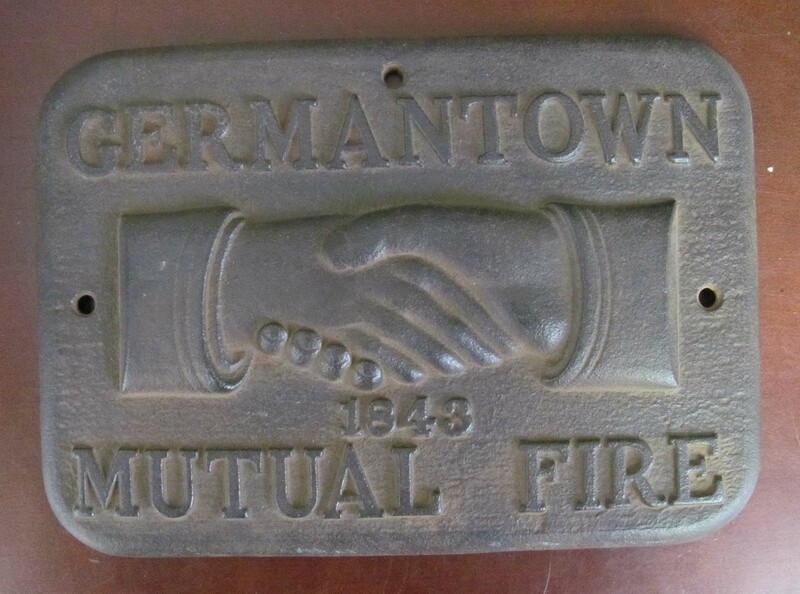 Cast iron Germantown Mutual Fire mark (back). 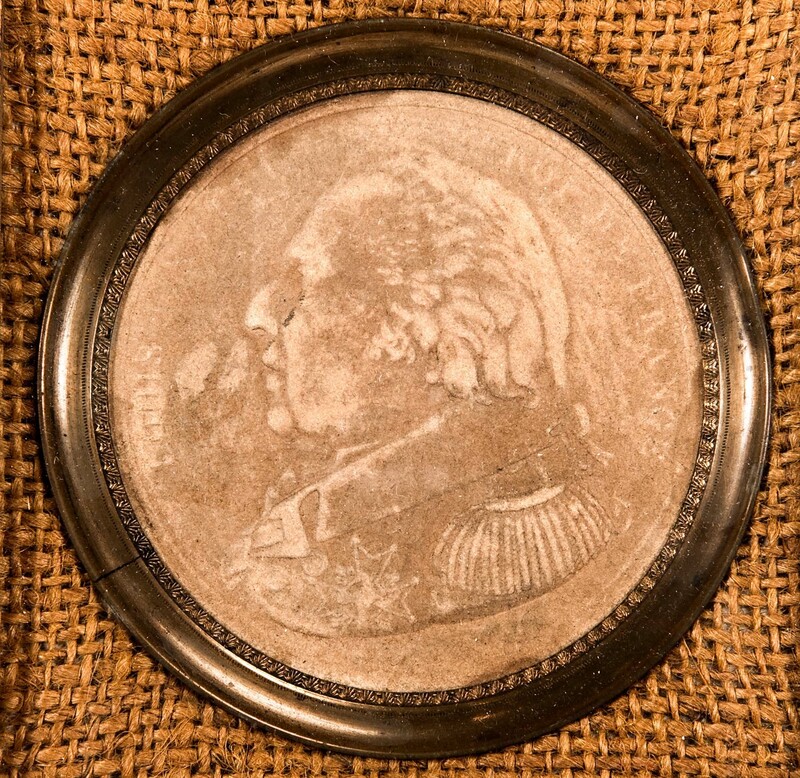 Rare shape 1927 Lindbergh and David Farragut commemorative medals. Winchester and other fly rods. Sewing birds. Good cast doorstops. Boxed doctor’s traveling kit. 19th c. traveling mahogany medicine cabinet. 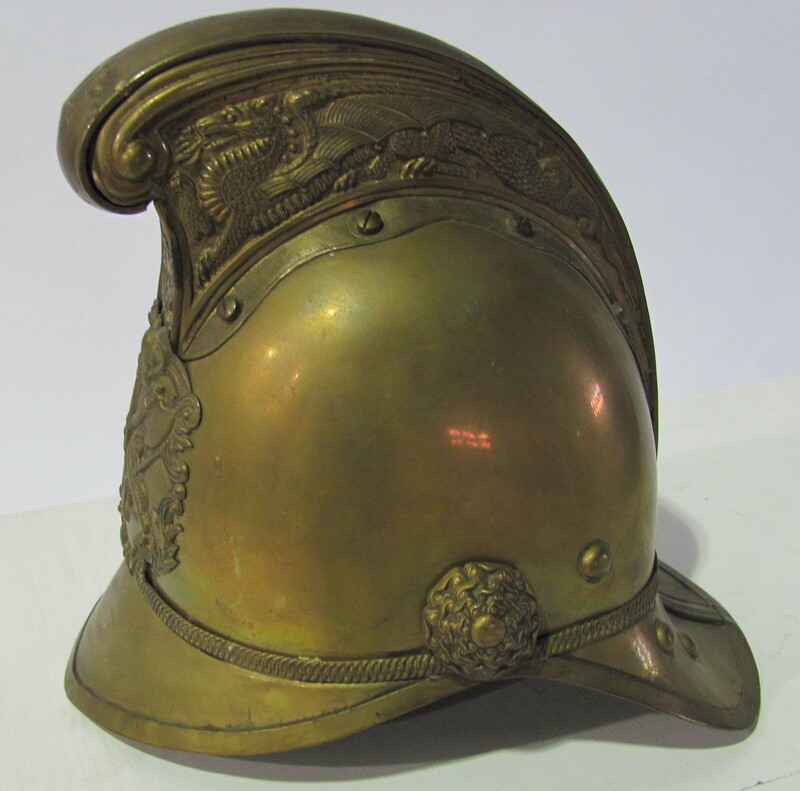 19th c. English brass fire helmet. Arts & Crafts silver on copper. 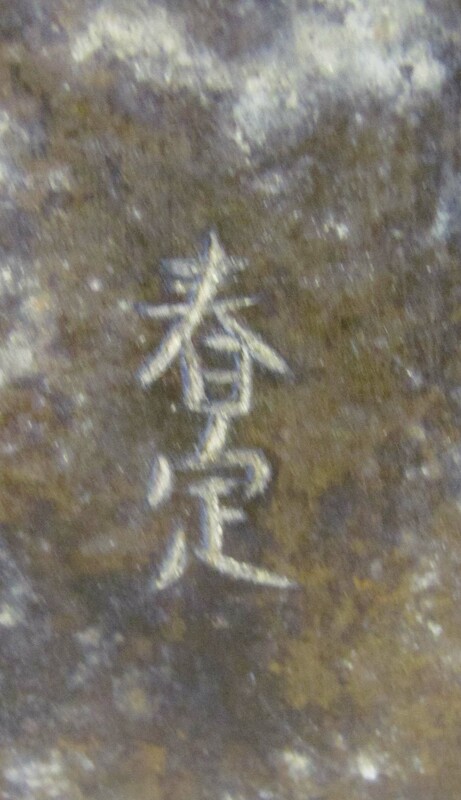 15-1/2" 19th C. Japanese signed bronze vase (side 1, side 2). Interesting lot of 19th and early 20th c. decorative table accessories. OLD BOOKS, PAPER AND PHOTOGRAPHY: Old family collection of books, some with color plates, on fruits, flowering plants and wild flowers, ornithology, gardens and garden ornament. 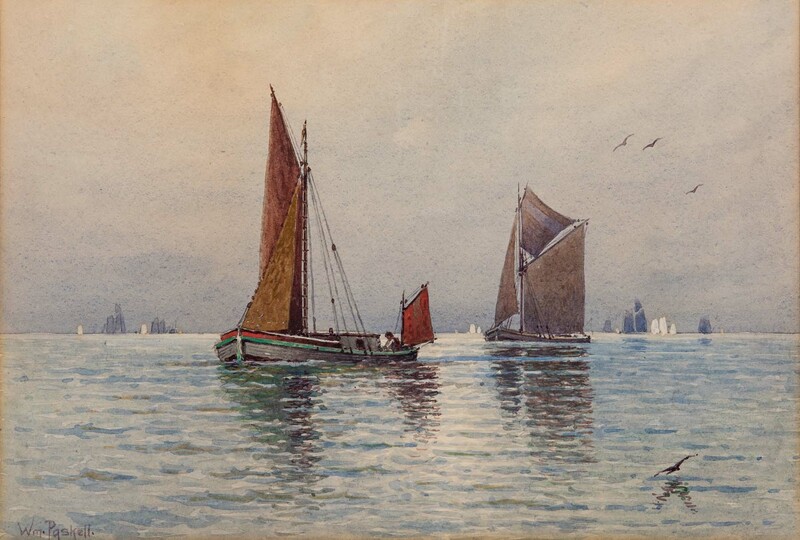 Authors include Jekyll, A. Pratt, Rickett, Chamberlain, Beach and Hulme. Select lots of special books. Other books of interest: Du Chaillu’s 1861 Equatorial Africa. Baedecker’s guides. Strafford Co., NH and York Co., ME atlases. Fine leather sets. 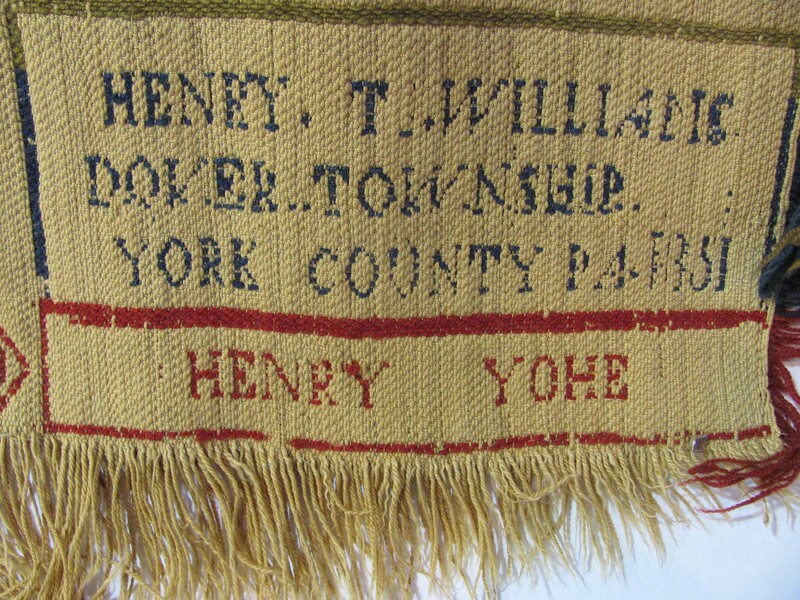 1750 York Co., PA Chief Ranger appointment document. Early illuminated book page. Wm. H. Taft and Rutherford B. Hayes signed documents. Large 1938-44 single owner collection of U.S. Railroad locomotive photographs, timetables, magazines and ephemera. Postcards. 1968 Chicago Bears and 1974 USN posters. Large single lot of stereo views. Sixth plate Civil War ambro. 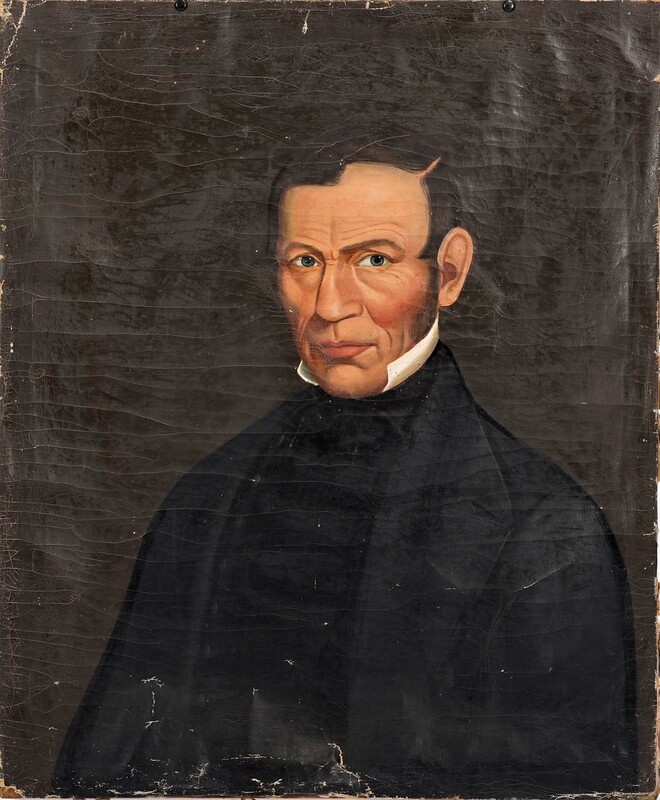 of James Culver in uniform. Interesting single owner small collection of interesting tintypes of twins, children, groups and one outside scene. Large lots of WWI period local family photography and correspondence. 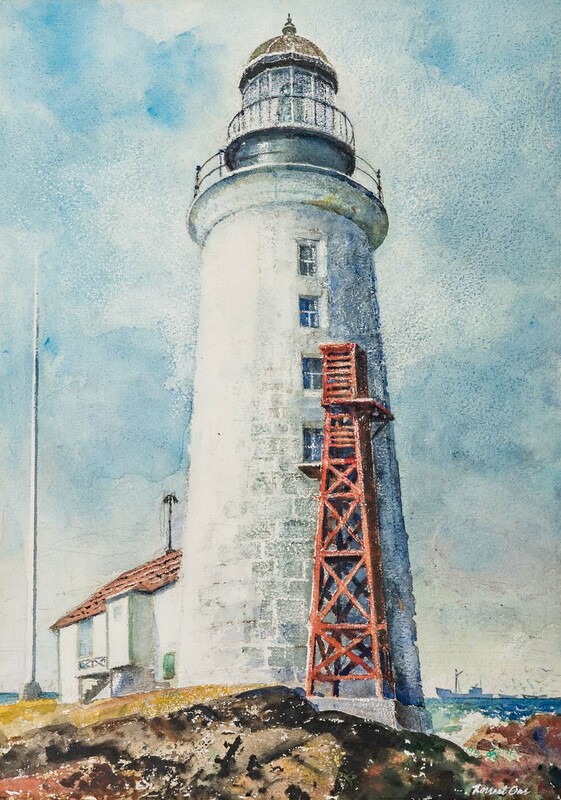 OLD PAINTINGS, PRINTS AND SCULPTURE: 12 X 18 Clark Oliver, 78, o/c of ship at sea. 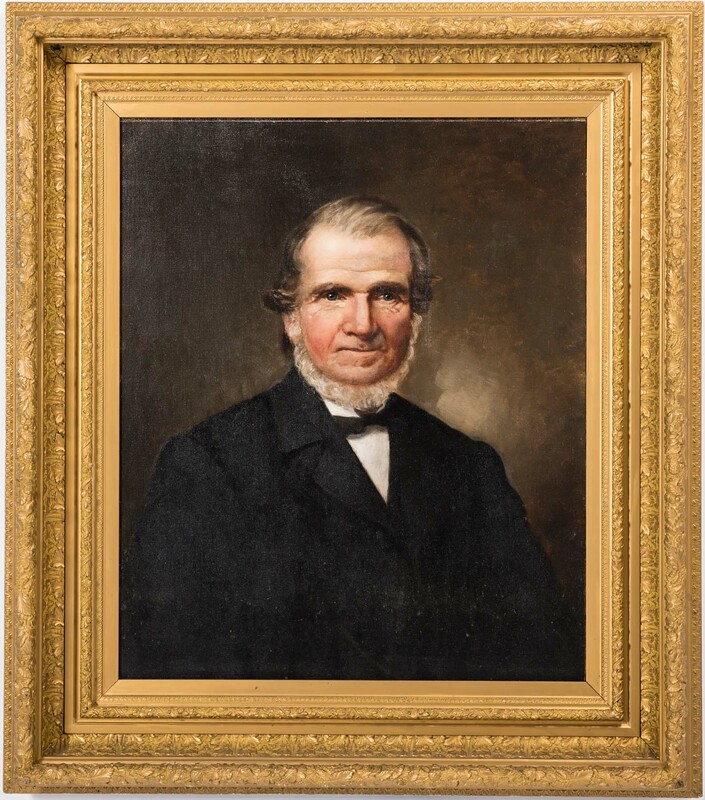 8.5 X 12.5 Wm Paskell w/c of sailboats.29.5 X 24.5 Darius Cobb oil portrait of Deacon John Wheeler, Merrimack, NH. 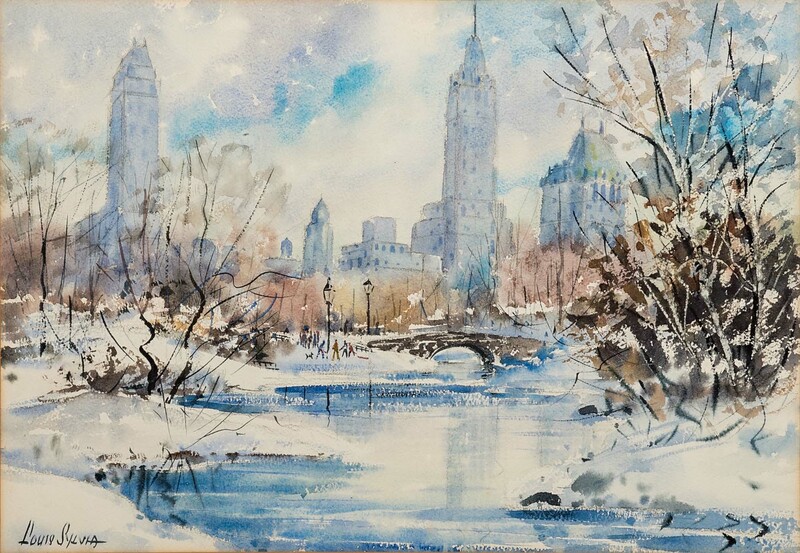 13.5 X 19.5 Louis Sylvia w/c of Central Park, NY. 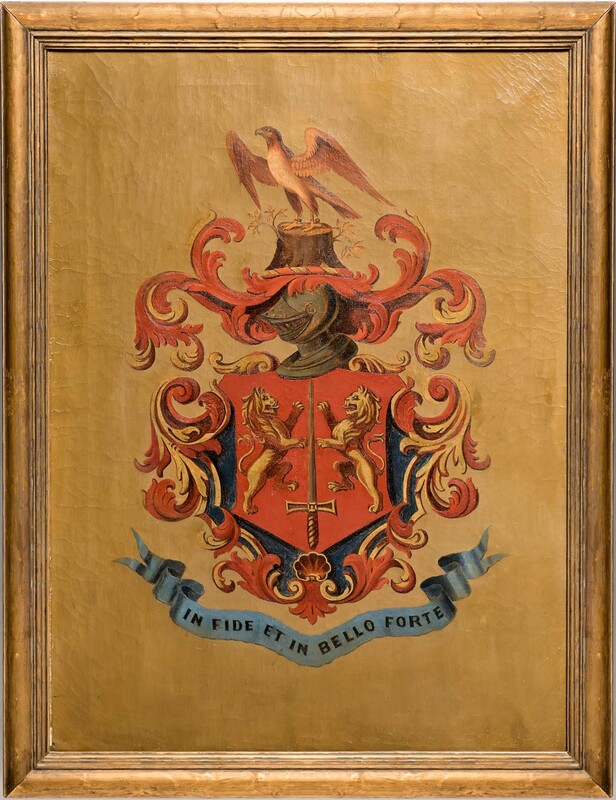 Early 29 X 21 Carroll family coat of arms o/c. 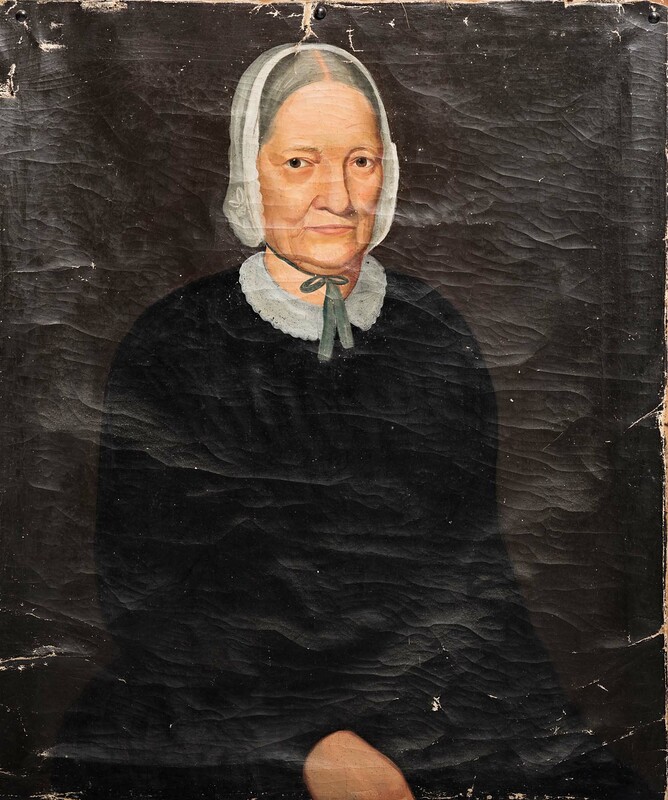 Three unframed 19th c. oil portraits of Jacob, Susan and Enoch Treadwell. 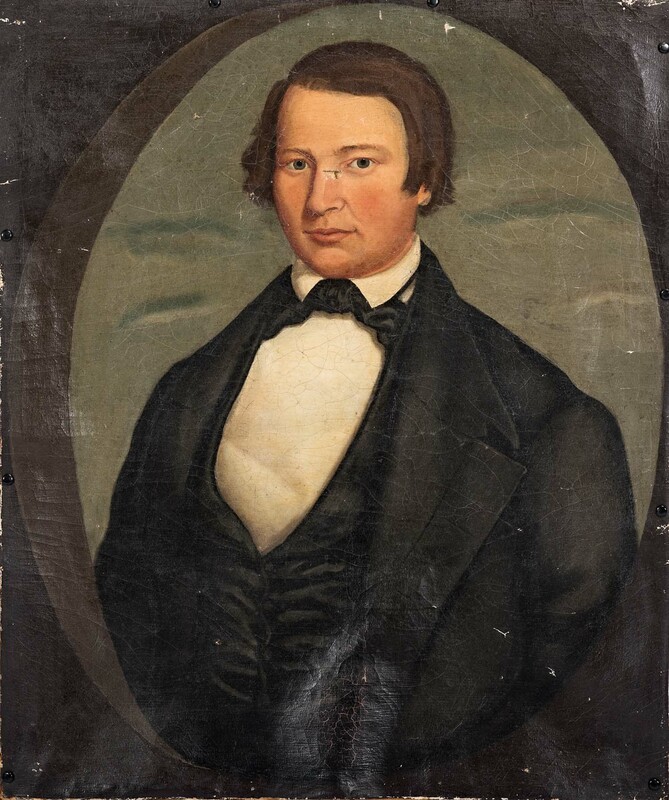 34 X 26 oil portrait of Einar Hansen, early 20th c. BSO First Violin. 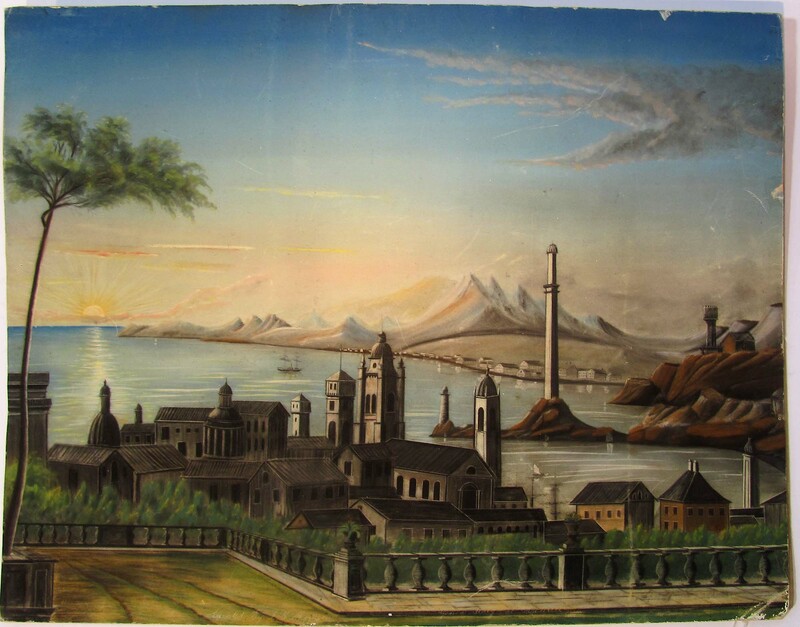 18 X 22 19th c. colored charcoal landscape, Genoa, Italy at Sunrise. 24 X 36 R.D. Packer o/b of Mt. Washington winter scene. 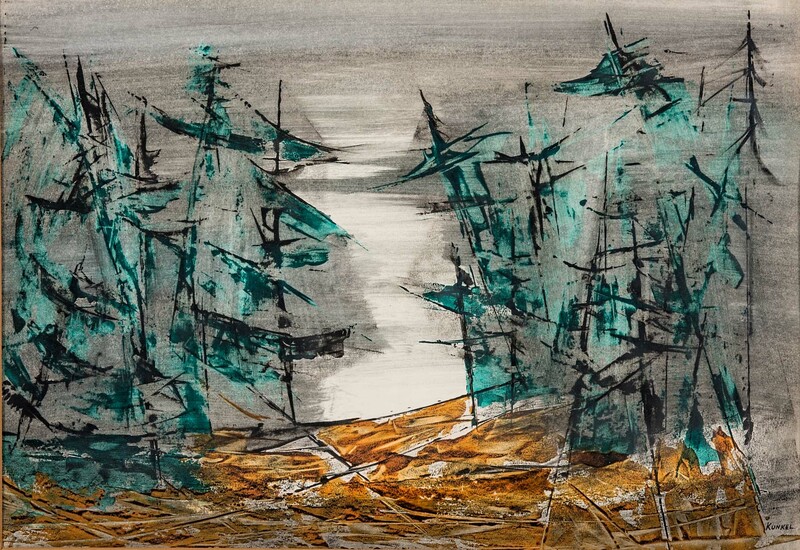 20 X 18 Susan R. Knox o/c of pond scene with tree. 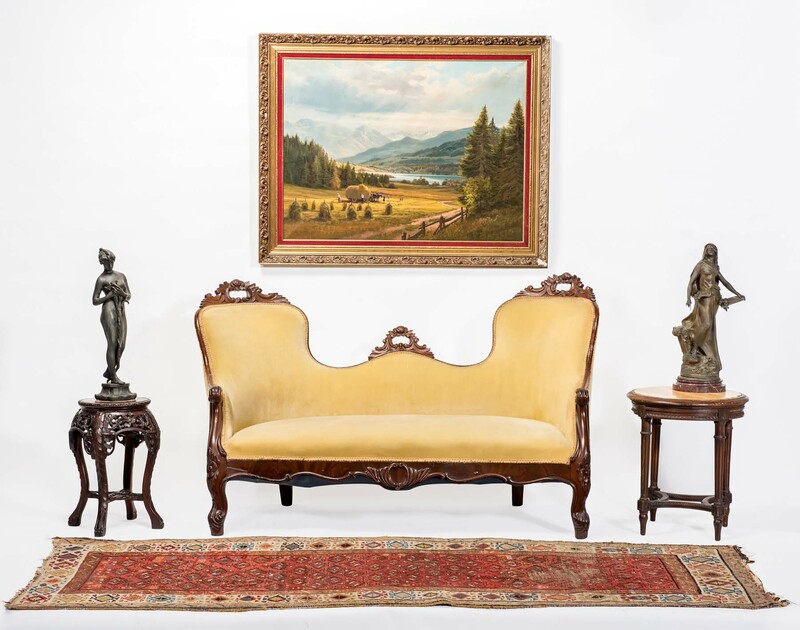 Borghese 39 X 27 framed mirror with17 X 23 painted top panel, With The Flight by Claude Lorraine, 31 X 39 Johann Glotzer landscape with mountains, Haying Time. 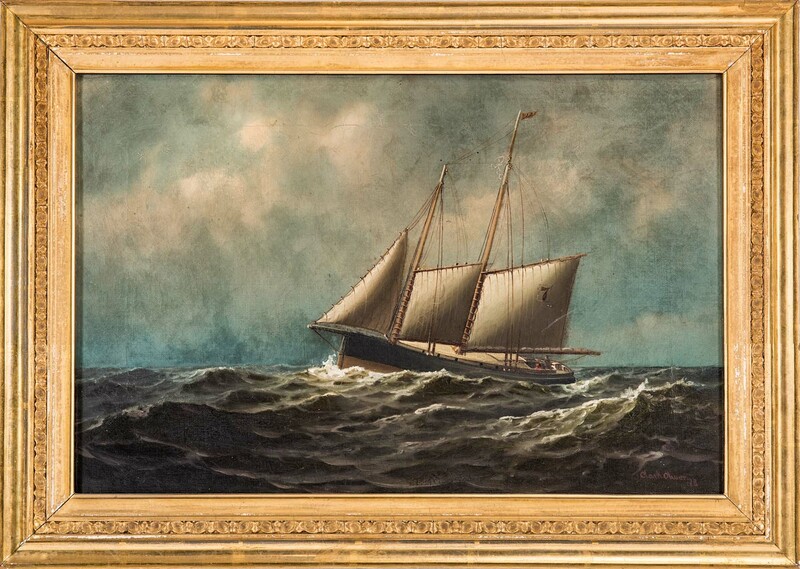 J. Glotzer 23 X 47 seascape with ship. 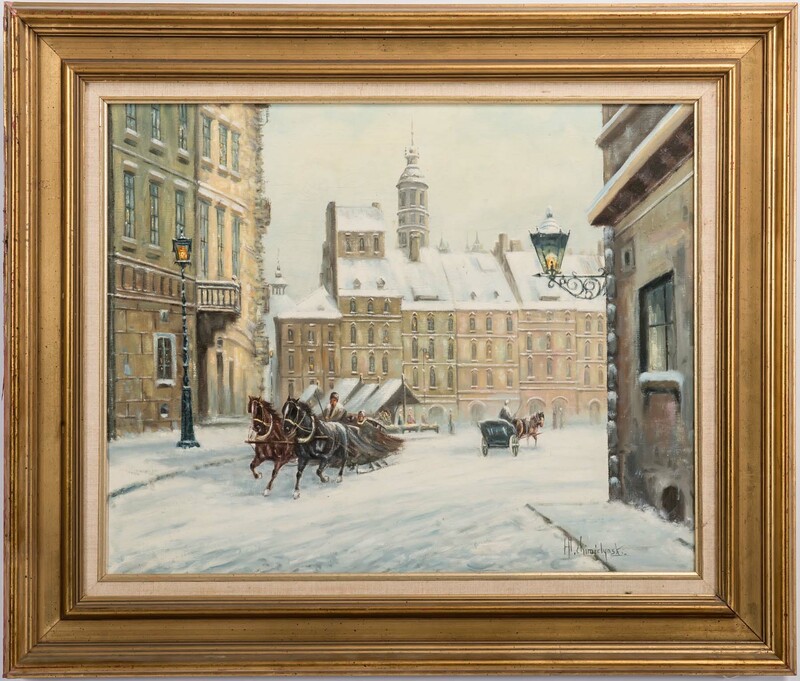 15.5 X 19.5 Chimiclynski European winter street scene with sleigh. 12 X 20 framed E. G. Welch Mutt & Jeff cartoon. Two 14 X 21 J.D. 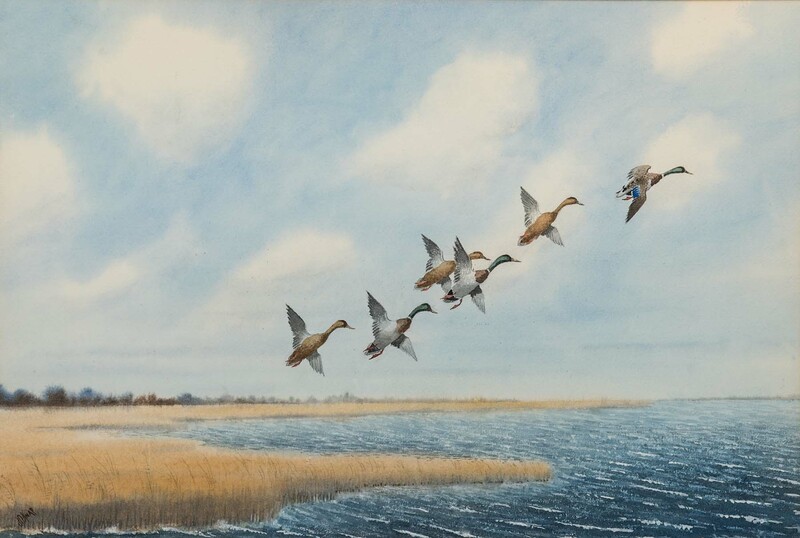 Knapp watercolors of ducks in flight. Forrest Orr and Ethyl Fowler ME w/c’s. 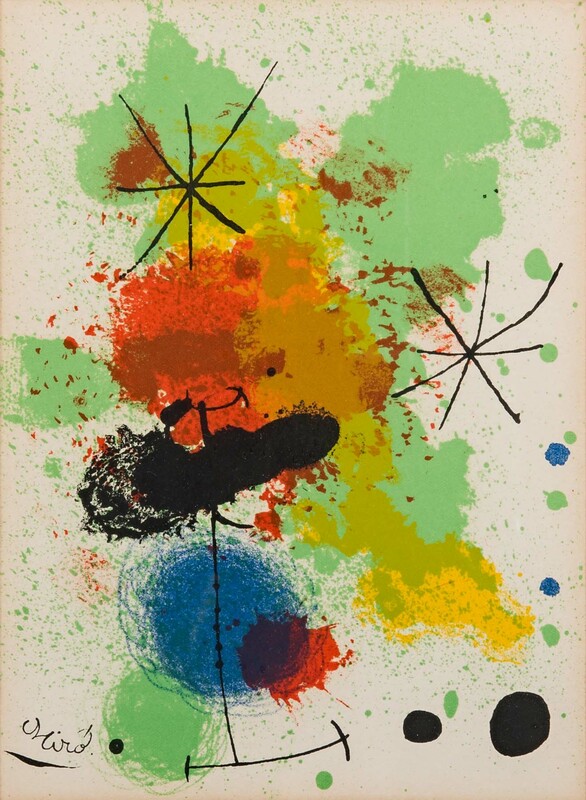 G. Kunkel abstracts (1, 2). Still life 19th c. oils. 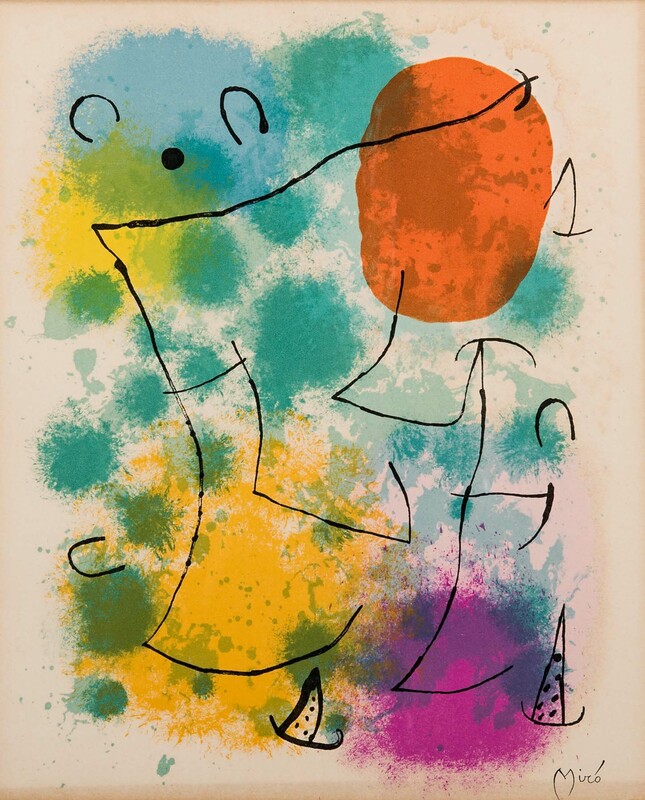 Signed prints by T. H. Benton, Gordon Grant, Joan Miro (1, 2), J. Sekino (another), K. Saito, Mikumo and Watanabe. 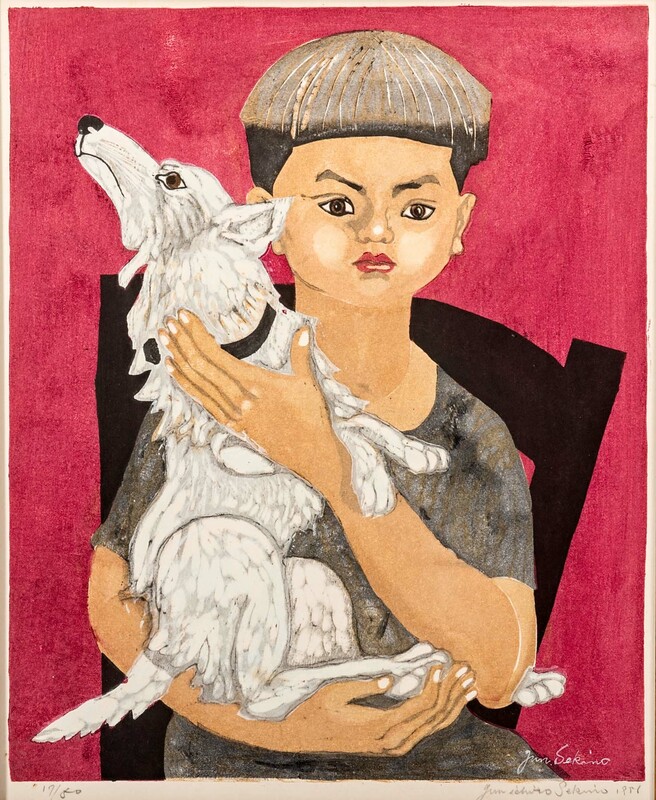 Yoshitoshi’s Twelve Months woodblocks. Steven Klein’s proof, Summer Hayride. 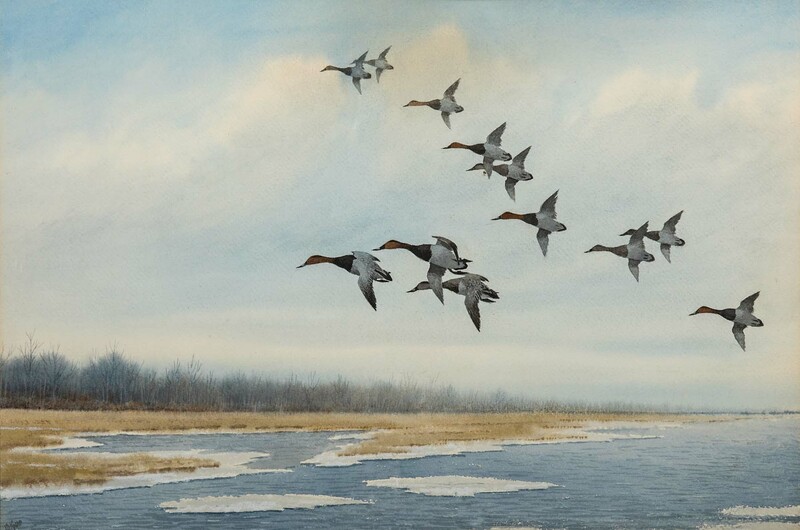 Fullarton, Endicott and other good bird prints. 22.5 in. S. Sortini and 20 in. 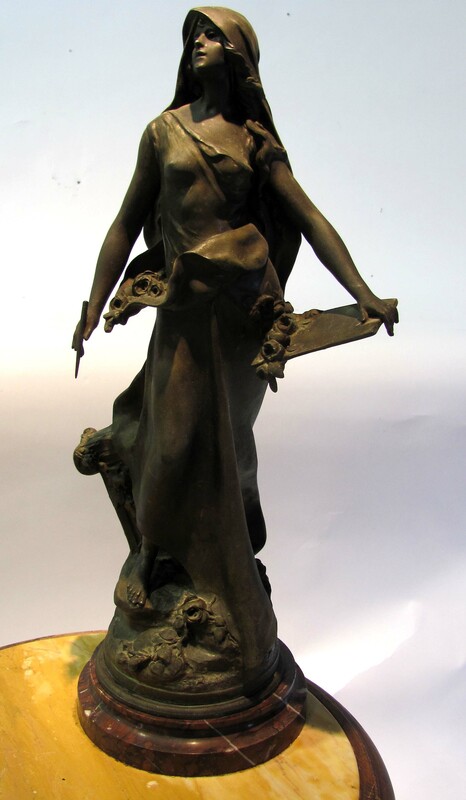 Auguste Moreau bronzes of maidens. 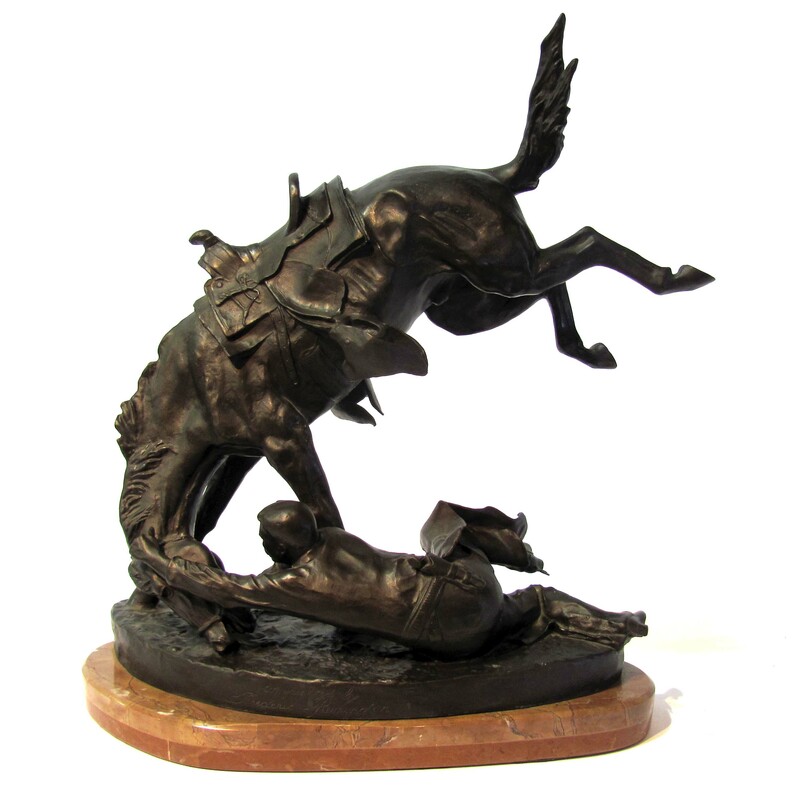 Second period 21 X 21 Remington bronze, Wicked Pony. 2.5 in. 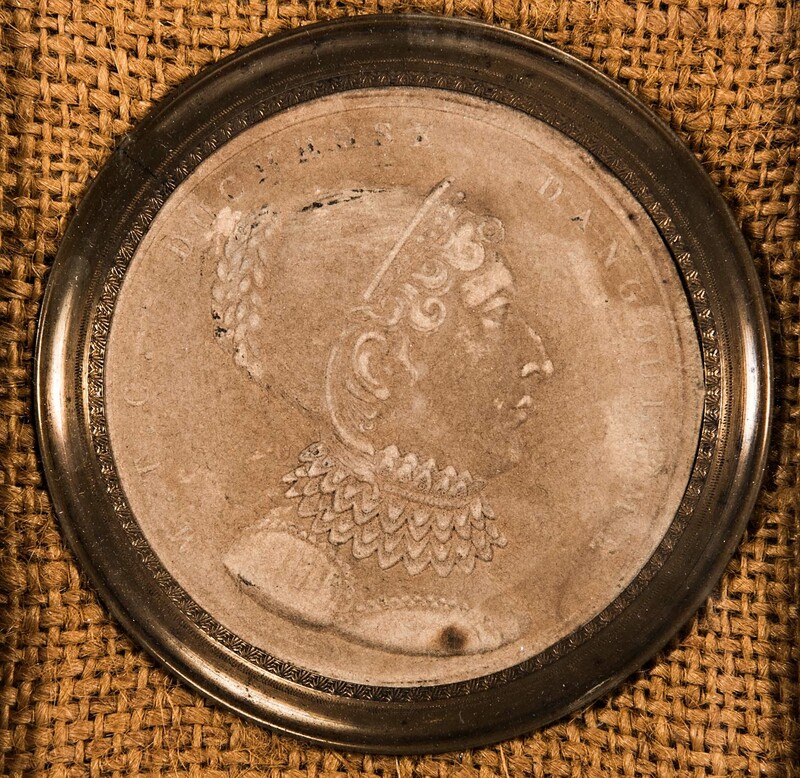 relief plaques of Louis VIII and Duchess Dangoul Me. TERMS OF SALE: Cash or approved check. Mastercard and Visa accepted. 15% Buyer’s Premium. 5.5% ME Sales Tax applies to all purchases without copy of current resale exemption certificate. Written or oral descriptions subject to error or omission. Food and refreshments available at Auction. 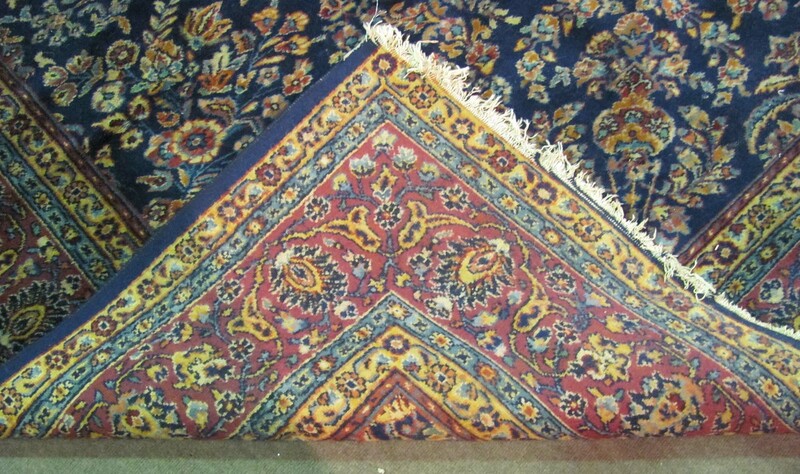 TELEPHONE BIDS: Phone Bids for Estates Antiques Auction close on FRIDAY April 3rd at 4:00p.m (the day before auction).